Shoppers Drug Mart Canada: Bonus Redemption Event March 8-10th! There is a bonus redemption coming up at Shoppers Drug Mart Canada this weekend! If you have been contemplating redeeming your points for a certain item or items, this weekend would be the perfect time, as your points are worth substantially more. The question typically comes up about what is meant by “get up to” whichever amount off. This simply means that if you redeem 100,000 points but only had $120 worth of merchandise, you are losing the other $20 in value you could have gotten. Ensure that your subotal is $140 before you opt to redeem your points, and if you come up short you can add more items. 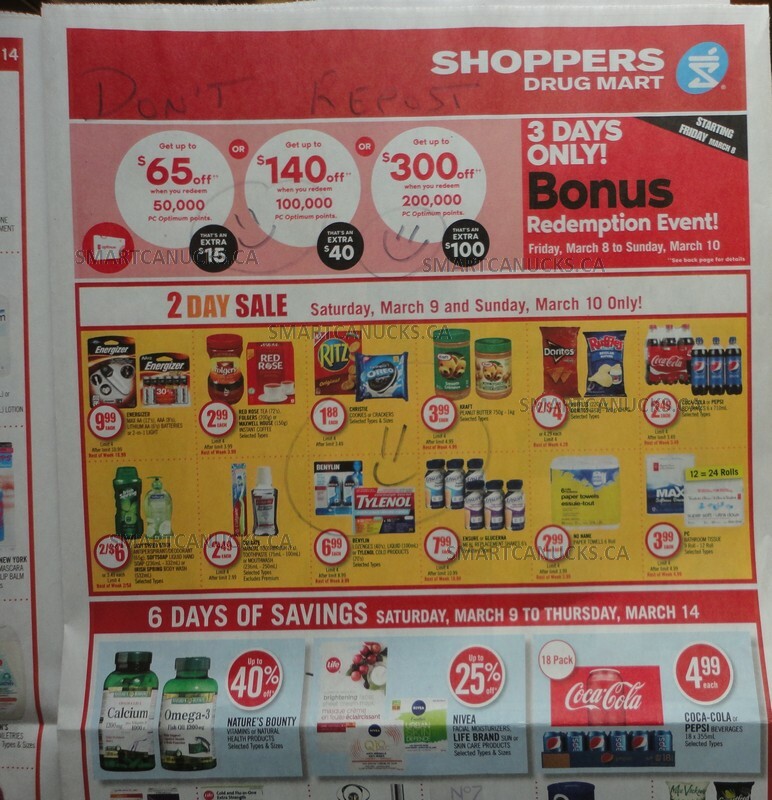 Click here to view the Shoppers Drug Mart Canada flyer valid March the 9th to the 14th.